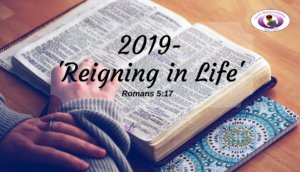 2019 has been declared in God’s Vineyard Ministries as our Year to Reign. It shall be a Year of Rest, Dominion, Restoration & Lifting for us. God will grant us Wisdom, Favour & Anoint us to reign in all walks of life in 2019, in Jesus name-Amen!